An evening of anarchist film. Join us to watch and discuss Sherry Millner & Ernie Larsen’s Shoplifting: It’s a Crime? and Lizzie Borden’s Born In Flames. You can read more about Born in Flames HERE, and an interesting short piece of writing by Sherry and Ernie from Jump Cut HERE. 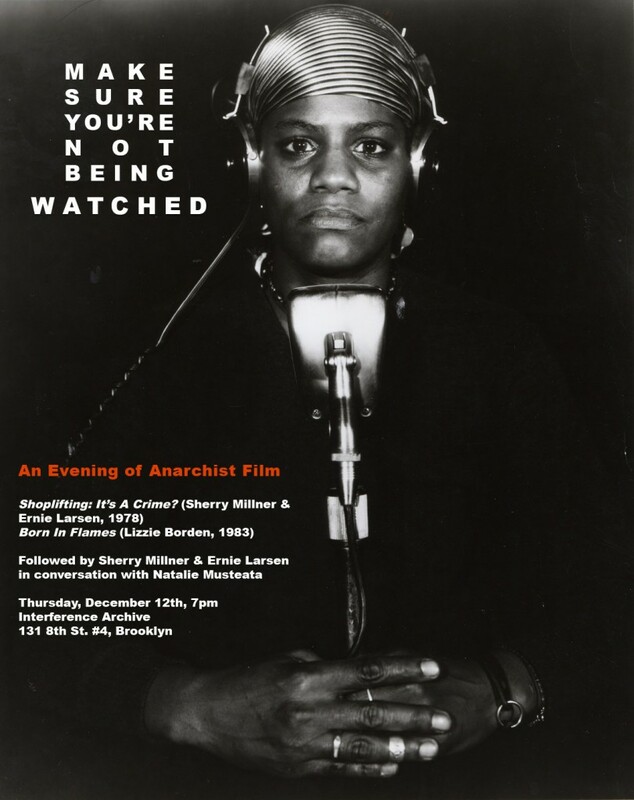 This screening is organized by Natalie Musteata, and cosponsored by Film Studies Working Group: Moving Images in Theory and Practice and The Center for the Humanities, The Graduate Center, CUNY.